Why do one percent of nature’s newcomers grow in numbers until they are a plague? Biologists study the resilience of the ecosystem in the face of exotic species. As a result of globalization, plants and animals are ending up outside their original habitats, sometimes with disastrous consequences. Like the box tree moth or the Louisiana crayfish that has driven out indigenous crayfish. The original Asian tiger mosquito can transmit as many as 10 diseases, including the Zika virus and Dengue fever. New diseases and pests are continually appearing on the scene in agriculture and horticulture, from avian flu to the tomato leafminer moth. Water hyacinths are taking over ditches and ponds, nature areas are overgrown with giant hogweed and Japanese knotweed. The success of all these ‘exotics’ depends not only on their own competitive advantage, but also on the resilience of the host ecosystem. And that is what Wageningen biologists Leo Nagelkerke and Bart Pollux are studying in collaboration with colleagues from WUR and several other universities. They chose the round goby, a fish from the Caspian and Black Seas, as a model species for their research on biological invasions. “The round goby is spreading all around the world, especially since the Main-Danube canal was opened in Germany in 1992, connecting the watersheds of the Rhine and the Danube,” says Nagelkerke. Biologist Leo Nagelkerke is researching a round goby. From left to right: A round goby in a sink with a tweezers and callipers for taking morphological measurements; measuring mouth size to study maximum prey size; probing the gills. 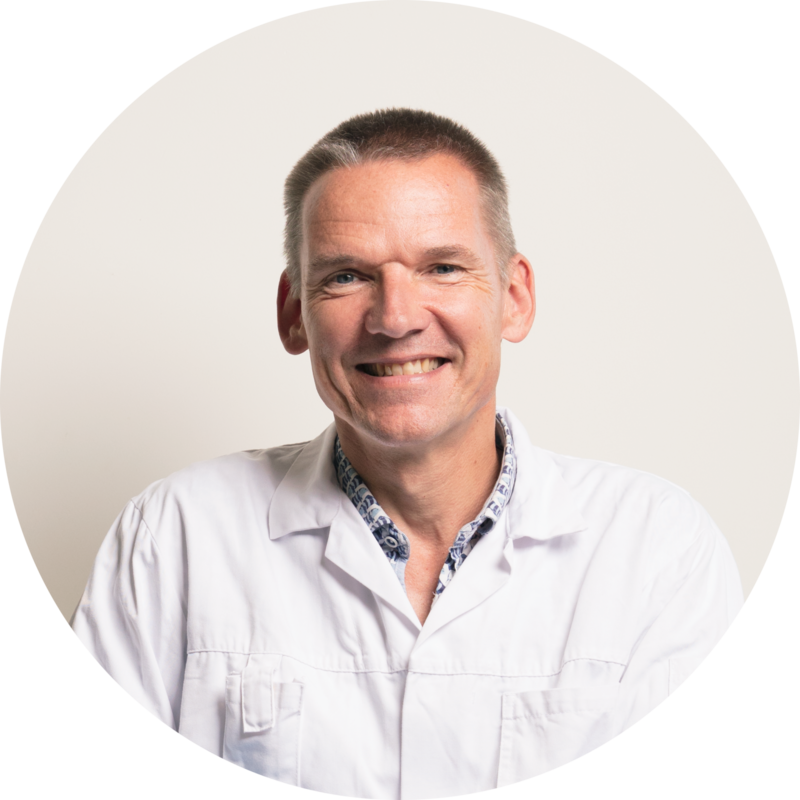 Assistant professor in Aquaculture and Fisheries at Wageningen University & Research, fish ecologist and functional morphologist. Research on the resilience of the ecosystem when exotics arrive. 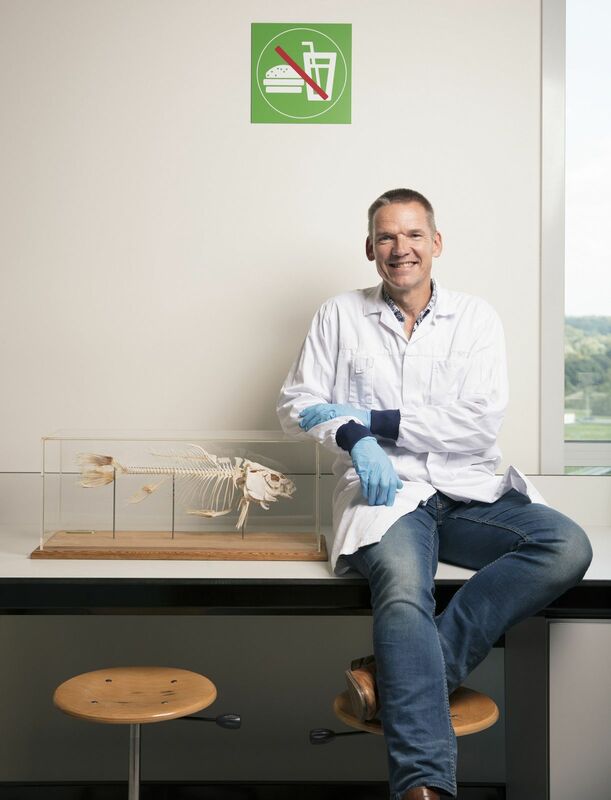 Leo van Nagelkerke collaborates on this research with a team of scientists from Wageningen University & Research, the University of Amsterdam, Radboud University and the Netherlands Institute for Ecology, who are specialists in the fields of aquaculture, marine zoology and ecology. Round gobies like a diet of small shrimps and mussels. They have teeth in their mouths and a second set of jaws in their throats. If the available food includes more mussels, for example, the fish needs more powerful jaws than it does when the menu is mainly made up of mosquito larvae. Through their extensive international network, the researchers are now trying to collect specimens from all over Europe so as to make a closer study of the relation between the type of jaw and the food available in the habitat in question. A successful exotic probably fills a “gap in the market”. In a healthy, diverse fish community, groups of fish species all play their own roles. There are slug-eaters and plankton-eaters, mosquito larvae-eaters, plant-eaters and fish-eaters. If there is a gap somewhere in the food web, which the invasive species fits, then its food supply is secured. The researchers want to make a kind of damage scale which indicates how resilient an ecosystem is. The better the risks exotic species bring with them can be estimated, the better policymakers can ensure that steps to keep them out are taken in the right places. It is also possible to ban the sale of certain exotics at garden centres. The study should also produce guidelines for setting up ecosystems in ways that make them resilient, giving exotics less of a chance. The ministry of Infrastructure and Water Management is already making sure there is more dead wood in the river system so as to promote biodiversity, and it has had superfluous rocks removed.